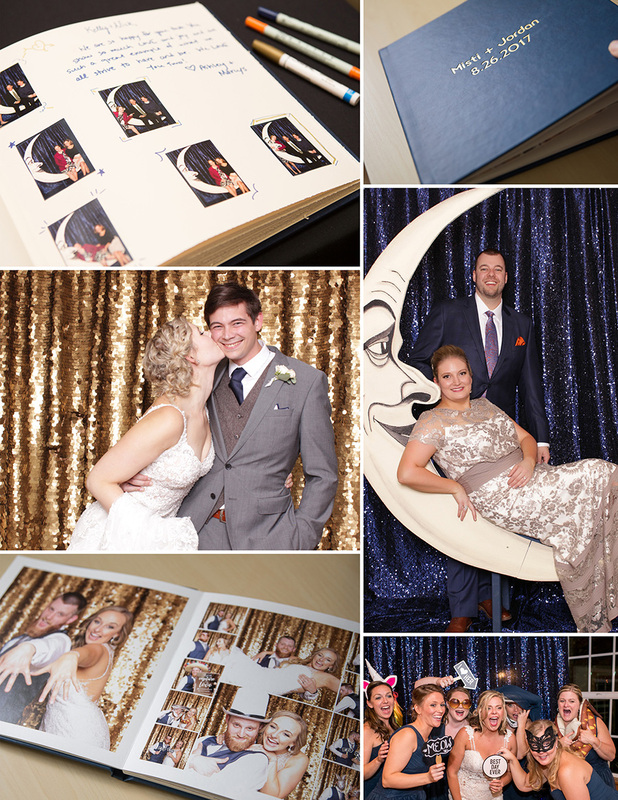 RIDICULOUS AMOUNTS OF FUN – Your guests will surely be entertained at your wedding with a photo booth! At every event we do and the thousands of photographs taken you always see smiles, creativity and often some shenanigans ensue in every capture. It doesn’t take long for the line to form and everyone is wanting to get into the next photo. Not every one will cut a rug on the dance floor, but most everyone will pose for a silly photo booth pic with their BFF or their favorite Aunt at the wedding. GOOD CLEAN FUN FOR ALL AGES – From infants to grandparents, at all of our events, everyone has a great time! We also love being able to send home all of the kids that use our booth their very own print for their wall at home and one for their parents for the fridge. A GREAT TIME FILLER – Need to keep people occupied while you and the bridal party are taking photos with the professional photographer? Having a photo booth ready to keep everyone busy means they won’t be standing around wondering how much longer until the party gets started…it’s already begun and you haven’t even been announced by the DJ yet! Read the full article for more reasons why need to book your Portland wedding photo booth rental on Jaime’s blog. To book your wedding photo booth with Jaime reach out through her contact form or call (503)957-6429.